Okay, this is the coolest thing. The DIY Science Zone is open to all ages, and it is a place where con attendees can go to get some hands-on experience when it comes to the world of science. At GirlCon ‘13, there were more than 350 people playing in the DIY science zone, and the experiments ranged from making your own neurons, to crime-scene fingerprinting, to dancing raisins. This year the con plans to bring in some invisible ink, DNA extraction, dice roll science, slime-making, Cartesian drivers, making light, laser rules, and pocket solar systems, to name a few. The DIY Science Zone is run by men and women in different scientific professions, and they will be there help coach and guide those participating. While I think it will be totally fun to play around in the Science Zone, I love that this will make science seem more fun and accessible for younger kids, especially girls. We can definitely use more Jane Fosters in our world, right? Sadly, we live in an era where a lot of people are either unemployed or underemployed, and job hunting is one of the most awful things in the world–especially if you don’t have any “contacts” with whom you can network your way into a job. GeekGirlCon is trying to help its con attendees find a job, and a job they love. Networking can be huge in finding a new gig, so the con will be hosting various Career Connection events for con attendees to hopefully make some meaningful connections. It’s tough to be a woman in a “geeky” field if you don’t have a job, right? GeekGirlCon is trying to help fix that, and I think that’s awesome. Parents are geeks and nerds, too. GeekGirlCon has stuff for geeky parents or parents of geeks. From the DIY Science Zone to kid-friendly games on the gaming floor, paint and take miniature paintings, or lively readings, there will be a ton of geeky stuff for your kids to do. However, just because you’re a parent, it doesn’t mean that you don’t get to have your own fun. There are also panels about “Geek Girl Transformation to Geek Mom”, panels equipping parents to talk to their kids about representation in comics, books, and film, and cosplaying as a parent/parenting a cosplayer. 4. Jamie Broadnax of Black Girl Nerds! 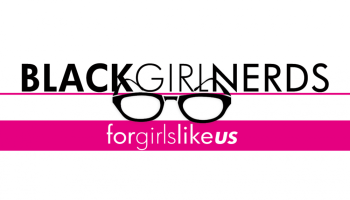 If you’ve never checked out the site Black Girl Nerds, you should probably remedy that right now. Jamie runs an awesome site filled with great geeky content, and brings her unique perspective as a woman of color in the geeky/nerdy world. Though there are some exciting changes within the comic book world with things like Storm getting her own comic, Kamala Khan’s reign as the current Ms. Marvel, and Sam Wilson taking over as Captain America, there isn’t a great deal of representation of people of color within the geek world. Jamie works actively to fix that. I cannot wait what she has to say on her panel at GeekGirl. There are a ton of geeks out there who have the perfect comic book story line, the next big fantasy novel, or the next big YA story camping out in their brains, and GeekGirlCon wants to help them out. The con will have a ton of programming helping writers with editing, discussing fan fiction, a YA author panel, panels discussing female heroines in sci-fi and fantasy, and live readings and spoken word sessions for kids and grownups alike. Another cool offering this year is a panel bringing the connection from writing stories to creating games. As a pseudo-writer and gamer myself, I can’t wait to check out that panel. These are just a few AWESOME things that are coming up at GeekGirlCon this year. Check out the con’s website to learn more, and you can view the official schedule here. Also, if you’d like to donate to keep this awesome convention going, go here. 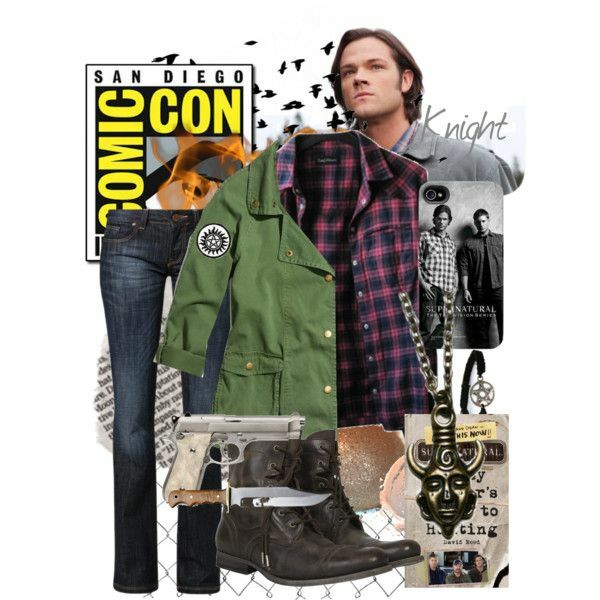 I all but confirmed this choice in my last post, but I’ve officially decided on Sam everyday cosplay. Jeans, boots, and flannel? It was too easy to pass up. 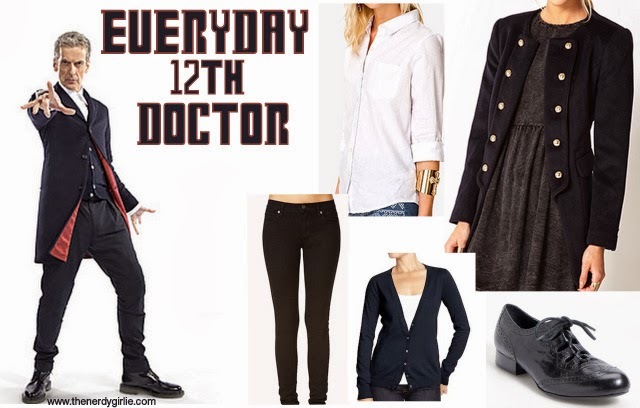 This one wasn’t on my original post, but after an searching for other everyday cosplay choices on Pinterest, I found everyday cosplay choices for Twelve that seemed too cute to pass up. I’ll be putting my own spin on these two outfits, but I think they will both be awesome choices for the con. I can’t wait to share outfit pics! Stay tuned here on the blog and on my Twitter for con updates. I’ll be using the hashtags #GeekGirlCon and #KenAtTheCon. Are you going to the con? Have you attended in the past? Let’s talk about it in the comments! I’ve never been but I’d love to check it out once! Too many cons, too little time and money! Agreed! Yeah I can’t wait to see what this con has in store!